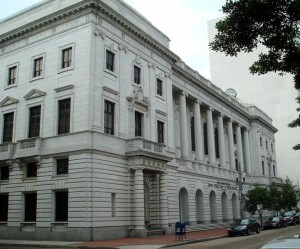 NEW ORLEANS — The Fifth Circuit Court of Appeals ruled on Thursday that new Texas laws designed to regulate the abortion industry are constitutional and may be implemented by the state, overturning a lower court ruling that stated that the laws served no reasonable purpose. As previously reported, a federal judge appointed by then-President George H.W. Bush struck down portions of the new law last October, declaring the regulations an “undue burden” on a woman’s ability to have an abortion. District Judge Lee Yeakel agreed with Planned Parenthood and others who had challenged the requirement that abortionists have admitting privileges at a hospital within 30 miles of the facility, and that they follow the Food and Drug Administration’s original dosage protocol for the pill RU-486. The case was then appealed to the U.S. Supreme Court, which rejected 5-4 Planned Parenthood’s request for a stay. Justices Scalia, Alito, Thomas, Roberts and Kennedy led the majority, while Justices Breyer, Sotomayor, Ginsburg and Kagan said that the injunction against the law should have remained in effect. “Viewed from the proper perspective, the State’s articulation of rational legislative objectives, which was backed by evidence placed before the state legislature, easily supplied a connection between the admitting–privileges rule and the desirable protection of abortion patients’ health,” wrote Chief Justice Edith Jones, appointed by then-president Ronald Reagan. Following the ruling, Planned Parenthood vowed to continue to fight the regulations. But Governor Rick Perry praised the panel, stating that the will of the people of Texas is that unborn children be protected. However, Texas officials have also repeatedly noted that the legislation does not aim to end abortion, but rather to regulate its practice. There are a reported 80,000 abortions in Texas each year among its 42 facilities.